I would recommend these mats. They are of good quality and wash up nicely. 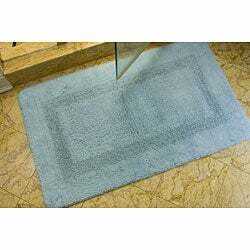 Safavieh Light Blue Non-slip 2400 Gram 2-piece Bath Mat Set - 1'9" x 2'10"
Safavieh Set of 2 Spa Collection 2400-gram Cream Non-slip Bath Mats - 1'9" x 2'10"
Safavieh Set of 2 Spa Soft Beige 2400-gram Bath Mats (1'9 x 2'10) - 1'9" x 2'10"
Dimensions 21 in. x 34 in. These bath mats are great! The ad says no slip but there is no nonslip backing on these rugs. If you put these on your bathroom floor without putting a no slip pad beneath them you could go for a ride when you step on it! 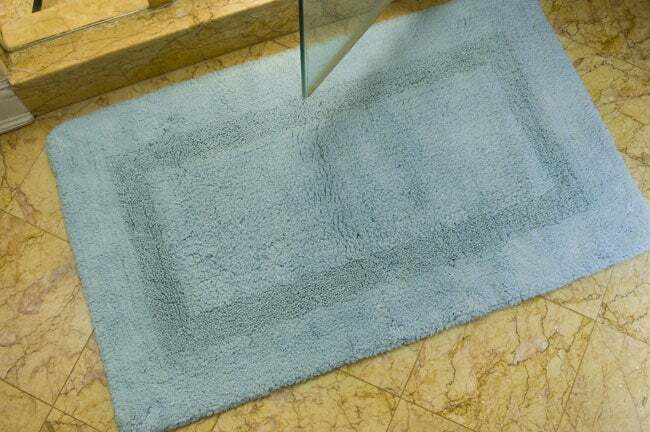 Love the quality of these bath mats... although the color is closer to aqua as other reviewers have stated, it is a beautiful shade and works perfectly with our bathroom walls. Would buy again! I only gave these 4 stars because their color is not accurately described here. If it was, I'd have given them 5 stars. These are actually a light AQUA, NOT blue. I am certain of this because my bathroom is blue and these have a greenish tint to them that makes them light aqua. Other than the color, they are VERY thick and I imagine would feel great under bare feet (I haven't actually tried them, I'm returning them). It's a shame that O doesn't have these in a true blue color - Yet? I'll keep checking. So, if a light aqua shade is the color you're looking for, then these are a GR8 bargain - You get 2 for around $****! It's a nice bath rug. Not really non-slip though. I was expecting some type of rubber on the bottom, but it's just more material. Nice and soft under my feet. These are nice rugs, thick and soft. Check your measurements; they were larger than I thought and barely fit the bathroom.